A slice of disco tinged house music, Kitchens inc. deliver their first release on Odour Recordings. A pocket of deep, disco groovers to warm dancefloors and set the mood of clubs and bars alike. 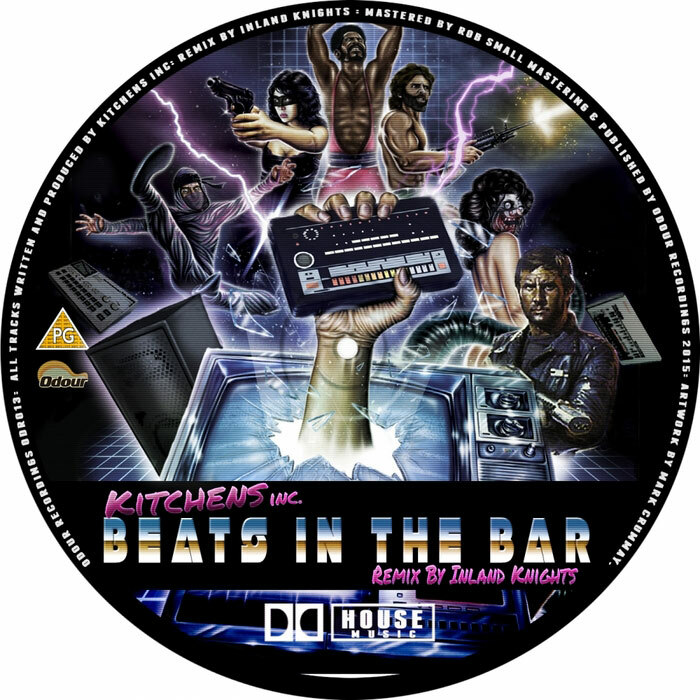 A unique deep house vibe is central to all three tracks, whilst smooth filtered vocals and disco loops are what make the originals stand out. Eery electronic sounds and a wobbly downtempo groove make ‘Beats in the bar’ a keen warm up DJ’s pick of choice. However, it is the Inland Knight’s monster re-rub that delivers the peak time dancefloor artillery. ‘Winter Slick’ is a B-side gem and ‘Finally Changing’ gives a classic sample a contemporary new spin. A strong first release to come out of the ever fruitful underground house music scene of Leeds.